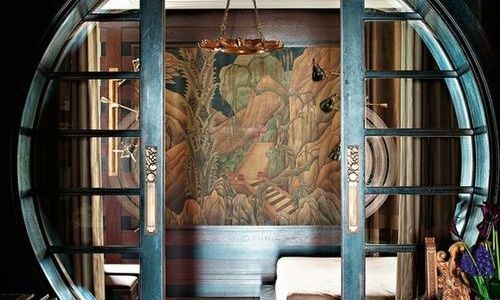 Different elements of Asian style have influence western interiors for centuries, drawing on influences from Japan, China and Vietnam and spanning different centuries. 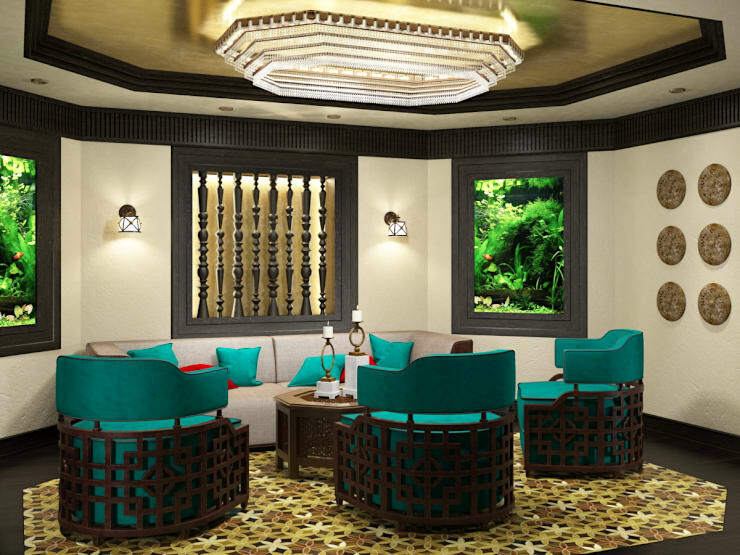 Far from having a single look, Asian inspired interior design can be highly ornamental with carved surfaces and bold colour, or have very simple lines, free from any ornamentation with soothing natural tones. 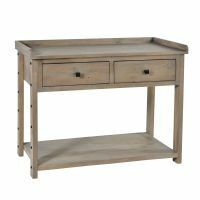 At The Wooden Furniture Store, we think that the most defining features are a sense of balance, harmony and serenity and here are our tips on how you can incorporate some of these mesmerizing elements into your own home design while keeping the fresh, contemporary feel intact. 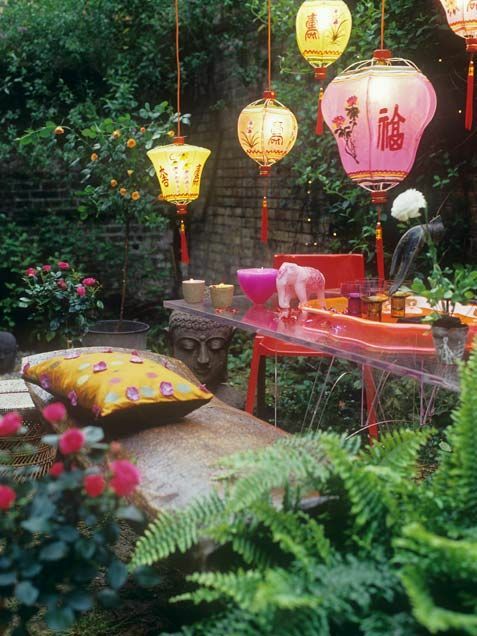 The art of Feng Shui has been practiced in ancient Chinese culture for centuries. 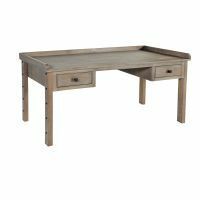 According to Feng Sui, everything has a positive or negative energy and in order to balance these energies, design must be carefully thought out to create an overall feeling of vitality and peace in a room. Light, open floor plans are hinged upon the Asian style of design, in which positive energy is encouraged to flow throughout a space. Themes are inspired by the colors of nature, and often decorations mimic scenic landscapes and reinterpret natural colors to suit the interior. It’s best to keep the backdrop as neutral as possible but don’t think that white is the only option, gentle cream, understated light blues and even an elegant grey would work well. Clean and well-defined straight lines, minimalist decorations and sleek symmetry are all a natural part of Asian design. Whatever you may believe about the powers of Feng Shui, its principles of balance and harmony can result in gorgeously styled spaces. 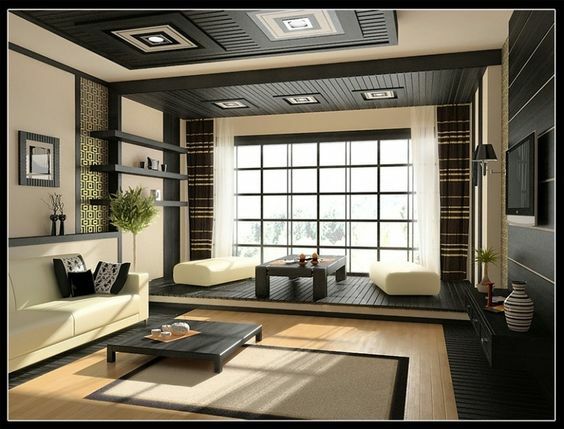 An Asian style interior is only truly complete with vibrant hues that stand out when placed in a calm, neutral setting. 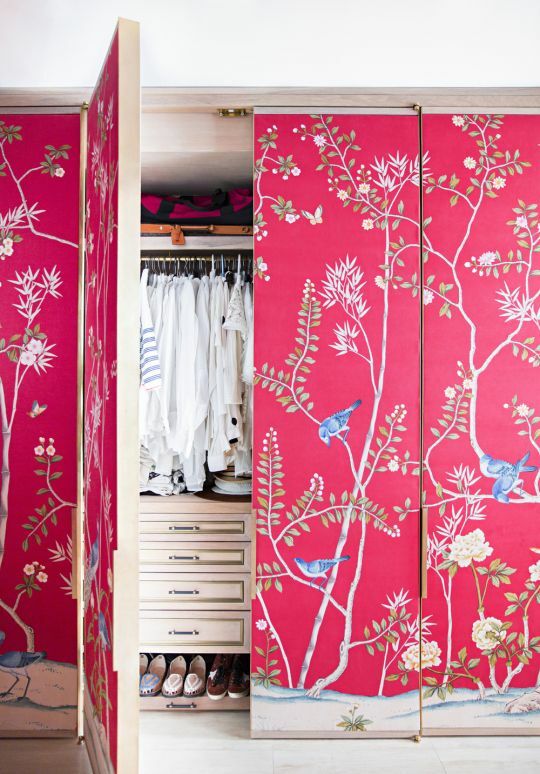 The lovely pinks of cherry blossom, rich purple or luxurious turquoise are all an integral part of the oriental style. Red in particular is seen a powerful colour that symbolises strong emotions like strength and passion and is often associated with life, energy and vitality. 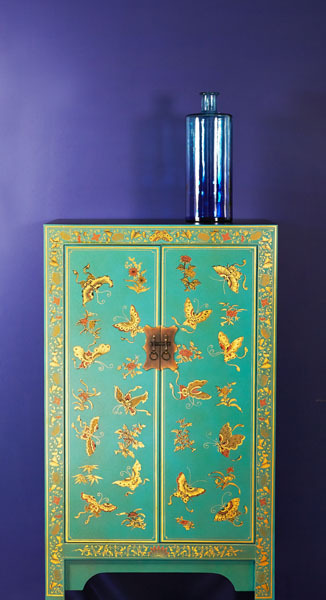 Our Nine Schools Chinese Lacquer Collection features this vibrant turquoise cabinet, its symmetrical design is essential for Feng Shui and the high gloss lacquer finish is beautifully enhanced with gold and red butterflies which symbolise young love and sociability in Chinese culture. Water is another wonderful way of ushering in Asian style with ease and simplicity. 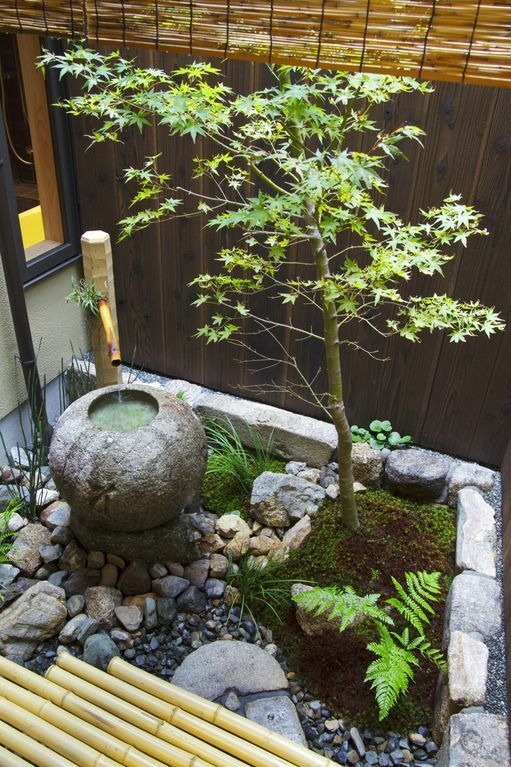 The sound of flowing water is considered both harmonious and positive according to Feng Shui, and a small water feature in the entrance room, living area, or even in the garden can be a stunning addition to any home. Whether it’s a simple folding screen in the corner of a space or an actual sliding screen door in between rooms, screen doors provide a fantastic Asian flair to a space. 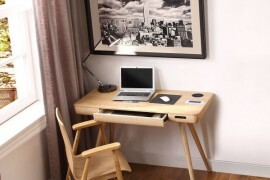 They provide a sense of privacy without the starker boundaries of a true wall. 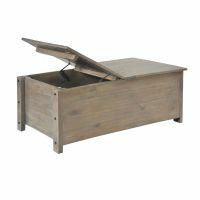 This is one aspect of Asian design that is simply irresistible and should appeal to the eco-conscious homeowner. 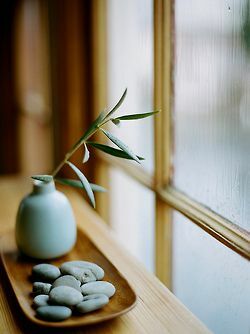 Smooth polished stones such as river rocks, bamboo blinds that replace the traditional drapes, intricately woven tatami mats, and potted plants and shrubs that bring in nature’s goodness. 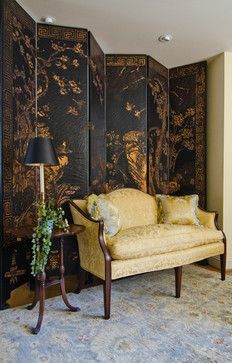 If elegant, European decor is more your style, add Asian flair with chinoiserie furniture, textiles and accessories. 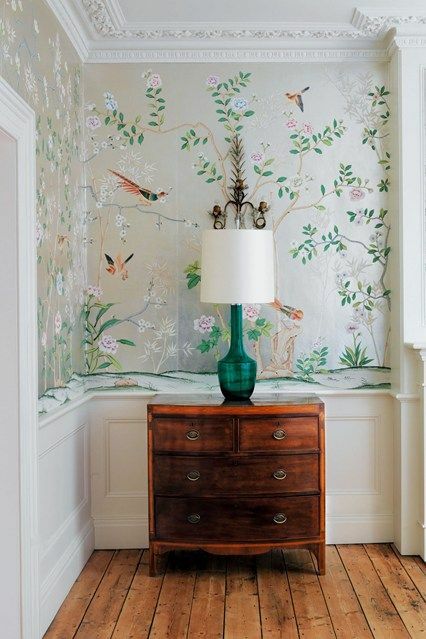 Chinoiserie (a French term meaning “Chinese-esque”) originated in 17th- and 18th-century Europe as a representation of fanciful Chinese influences through intricate and imaginary designs – the drawings and designs are most often found on cabinets, porcelain objects and embroideries. Silk screening was known for its level of intricacy and the skills required to stencil print on fabric. 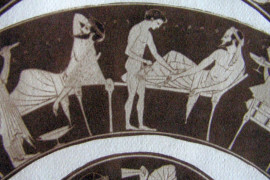 The technique was eventually carried from Asia to the West in the early 20th century and was considered a fine art form. Silkscreen prints on the wall can inspire a sense of space, serenity and scale and often tell a story with beautiful details and rich hues. Silkscreen-inspired wallpapers are readily available now, particularly with the renewed modern trend of hanging wallpaper as wall coverings. 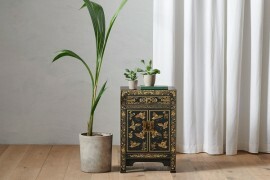 Texture plays an integral part in Asian style furniture. 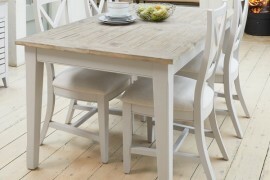 Surfaces should be smooth and shiny, because wood is either polished to perfection, painted, or lacquered. Surface interest is also created by using materials such as bamboo, paper, silver or gold leaf. Our Nine Schools range is designed to embody the structure of nine thoughts and values that have shaped the way that Chinese people think and go about their daily business for generations. The collection features bold lacquer designs in a choice of four colour ways, expertly built using traditional Chinese techniques. 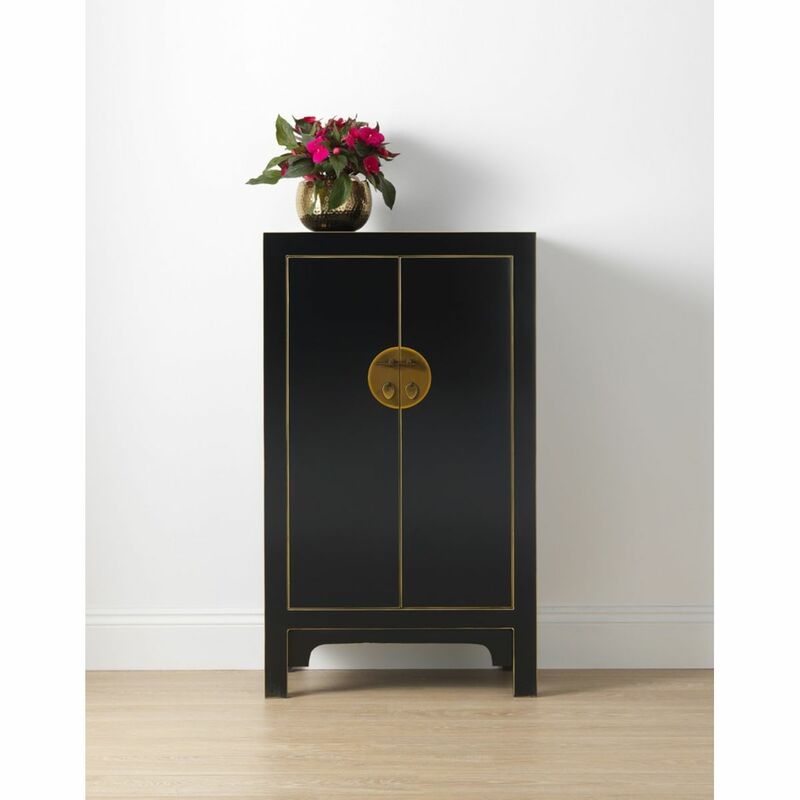 The antiqued metal work fastenings on this black lacquer cabinet add the finishing touch to the piece. 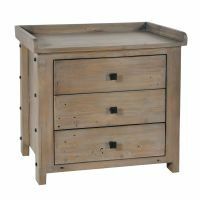 The easiest way to make changes or bolster any style is through accents it’s the easiest and the simplest way to transition into a style, or even check out if you can live with it! Pillows are always easily replaced and add much to the overall look of a room. 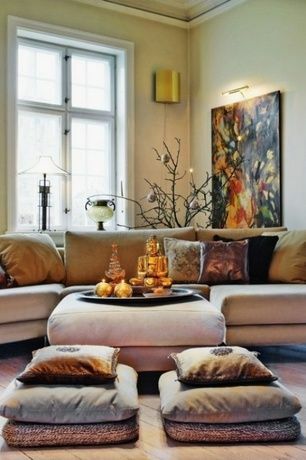 Think of adding some floor pillows – look for colors, material and textures, and motifs that are distinctly Asian. Stylish hanging paper lanterns, sculptural lighting installations and a few carefully placed candles go a long way in creating a home inspired by the Far East. 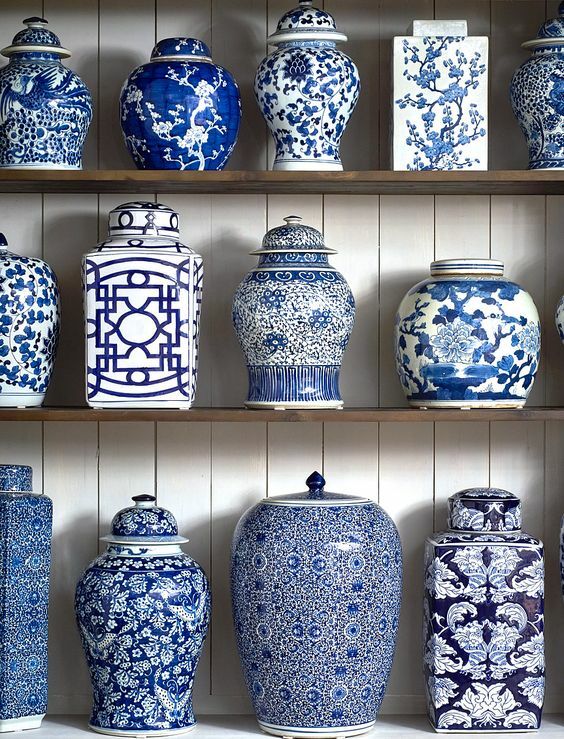 Oriental blue and white wares were developed in China in the 14th century, and by the 17th century the pieces were considered prized possessions and collected by European royalty. 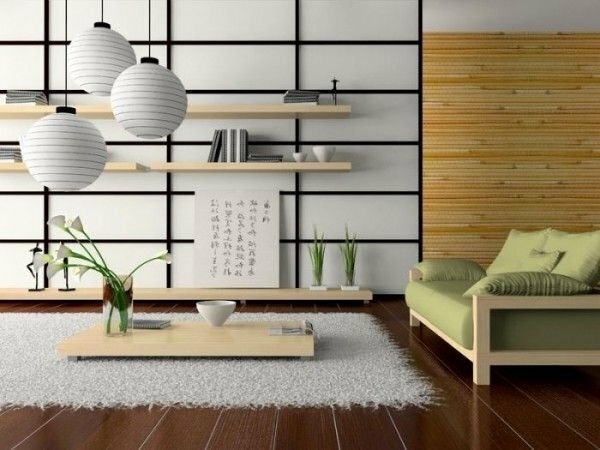 These porcelain pieces would help pull in familiar Asian elements into this living room, perfect for creating your Asian inspired interior design themes. The circle is known to represent the sun and this can also be found in Japan’s national flag as it is “the land of the rising sun”. 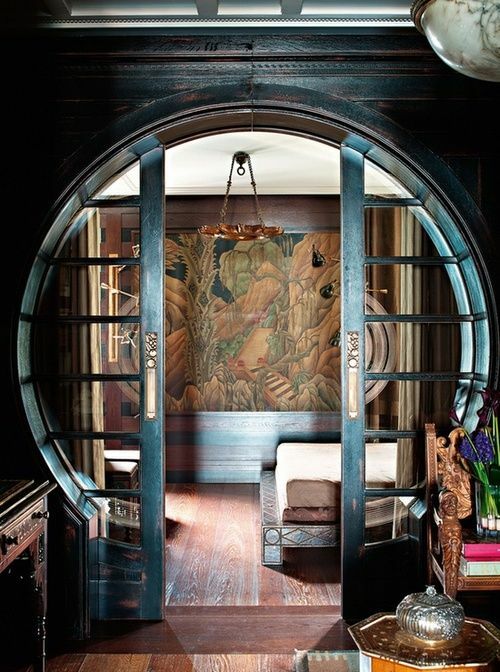 Circles can be included in cabinet faces, or even in doorways; a style known as moon doors. 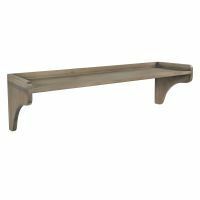 One of the most recognizable figures in Asian design is Siddhartha Gautama, better known as Buddha or the “Enlightened One.” Gautama was a spiritual teacher in the 5th century B.C. and the founder of Buddhism. 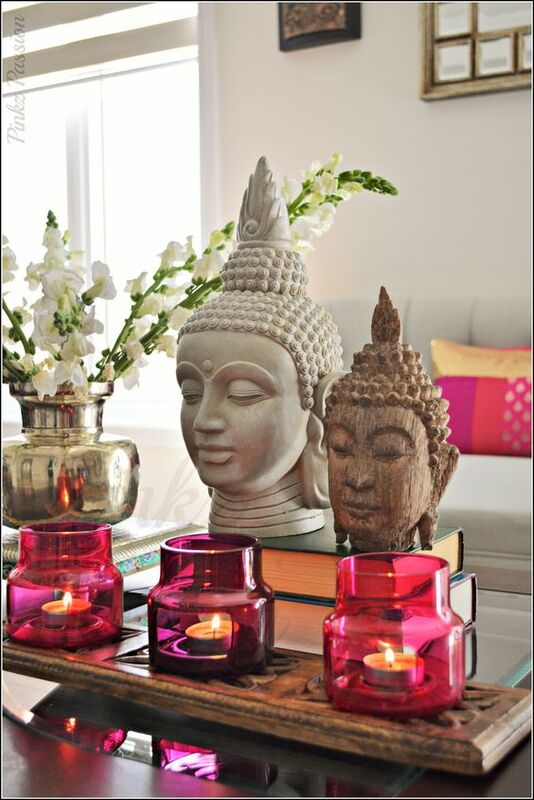 Adding a modern-day Buddha statue to your decor is an easy way to bring Asian influence into your home. Whether dramatic or understated, calming or classy, Asian inspired interior design resonates beauty and give a modern home a streamlined feel. We’d love to know if you’ve got an Asian inspired room to share with us.